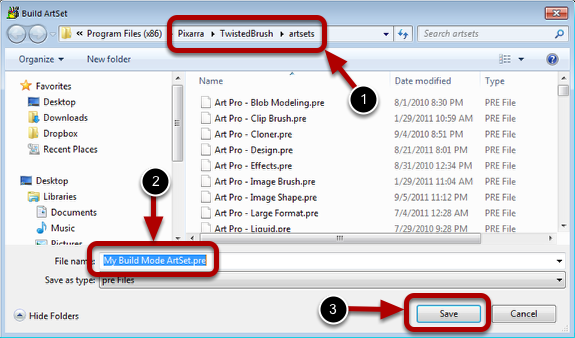 Build mode in the Edit ArtSet dialog is a quick way to select brush from other ArtSets and populate a new ArtSet. You will be given an choice to cancel or continue. 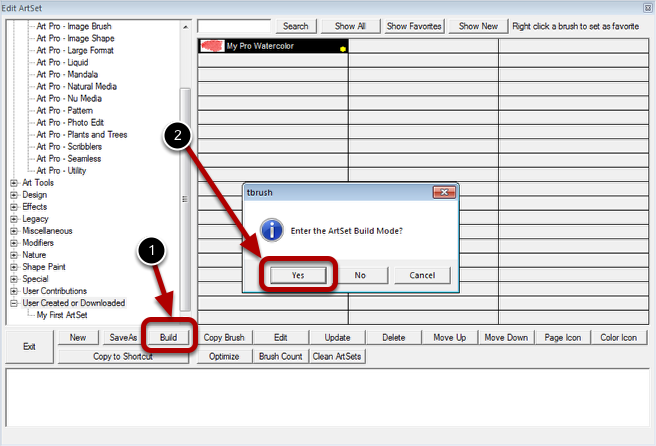 Click the Yes button to enter Build Mode. You should NOT change the directory. Enter the name of your new ArtSet. Select an ArtSet you want to copy brushes from. 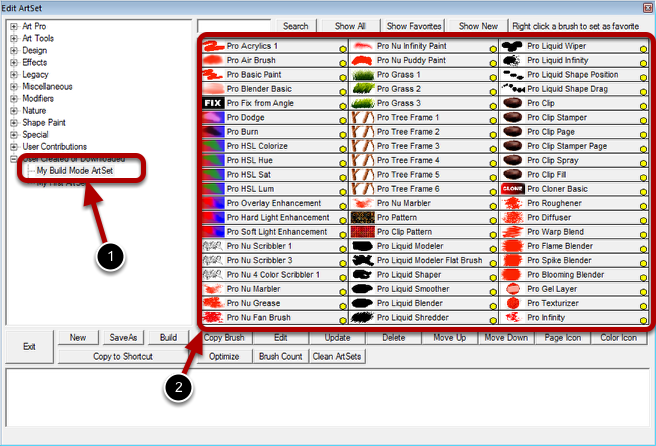 One at a time click each brush from the selected ArtSet that you want to copy into your new ArtSet. Repeat steps 1 and 2 as many time as you want. At any point click the Exit Build button to finish building your ArtSet. Otherwise when you have copied 60 brushes build mode will end automatically. 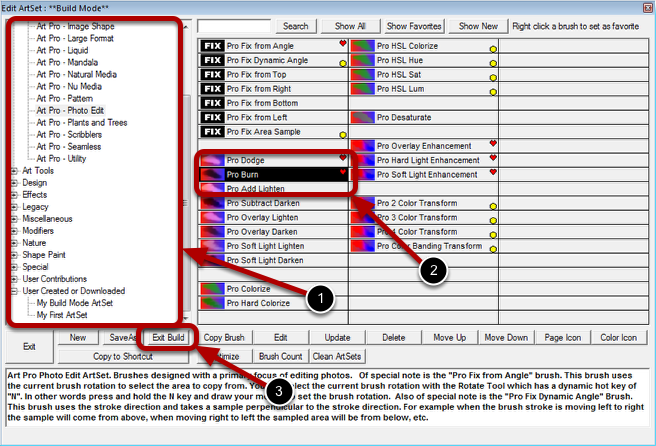 Notice that now 60 brushes exist in the new ArtSet copy from a number of different ArtSets.